After the disastrous April Uprising, in which the Bulgarians revolted against the Ottoman Empire in 1876, the Conference of Constantinople met to solve the "Bulgarian Question." When the Ottomans rejected Russia's proposal for a Bulgarian state, Russia declared war and defeated them with help from the Romanian army and Bulgarian exiles. The subsequent Treaty of San Stefano created a large autonomous Bulgaria within the Ottoman Empire, but was later revised. Why? In the US and Canada, an AMBER Alert notifies the general public through a variety of media, including radio and television, that a confirmed abduction of a child has taken place. It is named after Amber Hagerman, a 1996 kidnap victim who might have been quickly located had the means to distribute critical information been available at the time. To avoid false alarms, the criteria for issuing an alert are rather strict. What percentage of alerts meets these criteria? 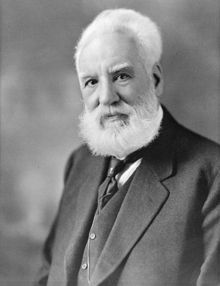 Bell was a scientist and inventor who patented the "speaking telephone" in 1876 and founded the Bell Telephone Company, which came to serve as a model for the emerging telecommunications industry. Bell also invented the photophone, which transmitted speech by light rays; the audiometer, an invention for the deaf; and the induction balance, used to locate metallic objects in the human body. This last device was hurriedly assembled in an attempt to find a bullet in whose body?